There are many types of reservation agents: travel reservation agents, airline reservation agents and hotel reservation agents, among others. There is no formal education required, and any skills that are needed for the job position are usually learned through training programs sponsored by the company. In May of 2008, the annual salary for reservation agents was $31,070. The hourly salary of reservation agents depends on the size and location of the agency agents work for and the experience of the agent. Most, however, do receive employer paid benefits, such as health insurance and retirement benefits. Because there are different types of reservation agents, the duties tend to vary too. The main duty of travel and reservation agents is to make reservations. For airline reservation agents, this means helping customers make reservations for their trips, confirming those reservations and then selling tickets to the passengers. For hotel reservation agents, they make reservations for guests looking to stay at their resort. They may help customers over the phone who are calling to get price quotes and reserve rooms or handle guests as walk-ins. They check guests in and out of the hotel or resort as part of their reservation duties. 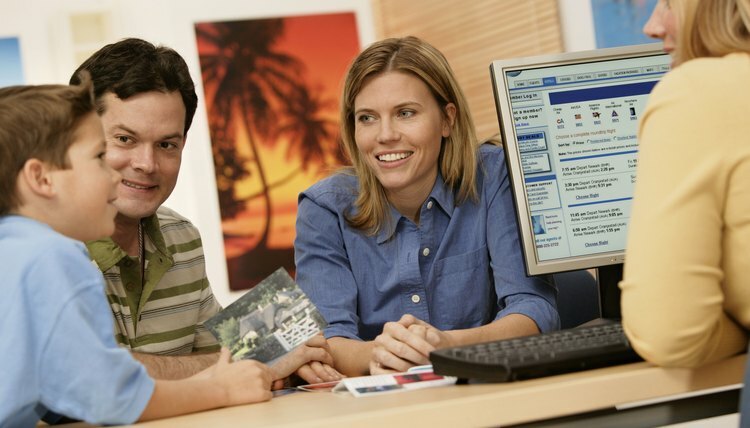 Travel reservation agents help guests book their trips to various destinations and may take the place of an airline reservation agent by helping their customers reserve airline tickets also. Airline or other transportation reservation agents, such as train station reservation agents or bus reservation agents, may also check passenger's baggage as part of their duties. They may help passengers get to where they need to be for departures and recommend restaurants and other travel information. Most reservation agents of all types are required to maintain some sort of records with all transactions from that day of service. Sometimes, customers will pay an advance deposit for their reservation, and reservation agents are required to keep records of these deposits also. BlakeRyan. "Reservation Agent Duties & Responsibilities." , https://careertrend.com/list-6524068-reservation-agent-duties-responsibilities.html. 02 December 2018.